It did not help that I could barely find any information about solo travellers or backpackers in Tahiti. Most websites assume that you come here with your significant other, because why else would you travel to the Pacific? But as I have learned, even as a solo traveller, you can have a lot of fun in French Polynesia. 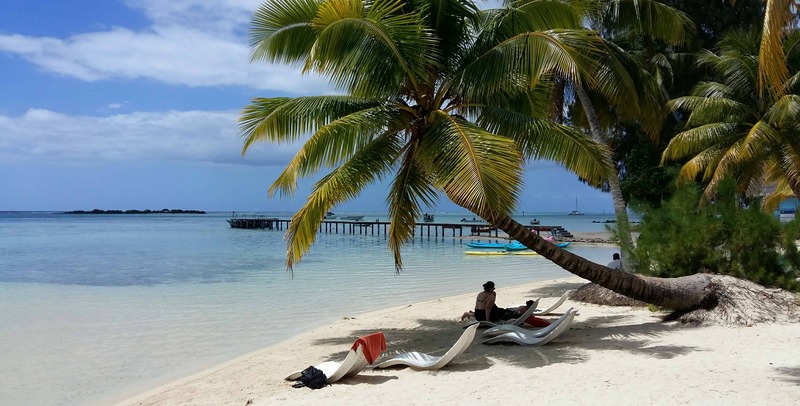 To help you get started, I have put together this guide with a couple of things to do in Moorea that I really enjoyed. The main reason I had come to French Polynesia was to snorkle with whales. My brother had done it in Tonga and I was looking forward to seeing the giants in the water. We were lucky to find whales immediately after we set out and not long after, we were in the water, swimming towards them while hearing their song. I saw a weird shape deep below me, which the guide explained was a whale swimming vertically. Before I had a chance to take it in properly, it was gone. The whales were moving and we had no chance of keeping up with them. What began now felt like a wild chase across the ocean, in the hopes of getting another chance to snorkle with them. But the whales were always moving. 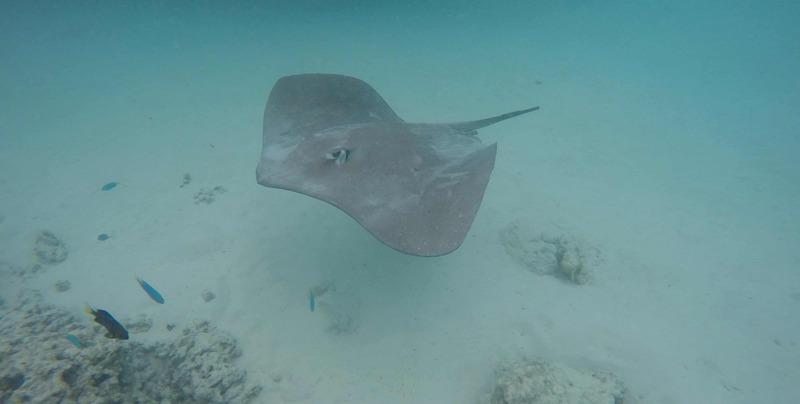 We saw a lot of them from the boat, and for that alone it was worth doing the tour, but we did not see them underwater. After what felt like an eternity out in the choppy sea, we turned around and went to watch the manta rays and sharks in the lagoon instead. Still, even though we did not see the whales underwater, I had a great time and I highly recommend whale watching to anyone coming to French Polynesia. Humpback whales only come here from July to November, but even if you arrive outside the season, you can still see amazing creatures in the water, from colourful fish to sharks and sea turtles. It is possible to get to a viewpoint on Moorea without having to hike. But where would be the fun in that? I joined up with a couple of other travellers and we hiked from Belvedere to the 3 Cocotiers. The path took us through the jungle, past amazing views, a waterfall and some very interesting vegetation. It would have been worth coming for the jungle alone, but the view that we got in the end was the best part. There are more hikes than just the one to 3 Cocotiers, so if you enjoy hiking, you can keep yourself occupied for a couple of days. Why would you come to French Polynesia if not for its beaches? The country offers lagoons with crystal-clear water, an amazing underwater world and beaches you can relax on. If you’re staying at one of the smaller guesthouses, chances are high that you won’t have your own beach. But don’t worry, just ask the owner of your guesthouse about the public beaches, where you can enjoy the sun and the warm water. 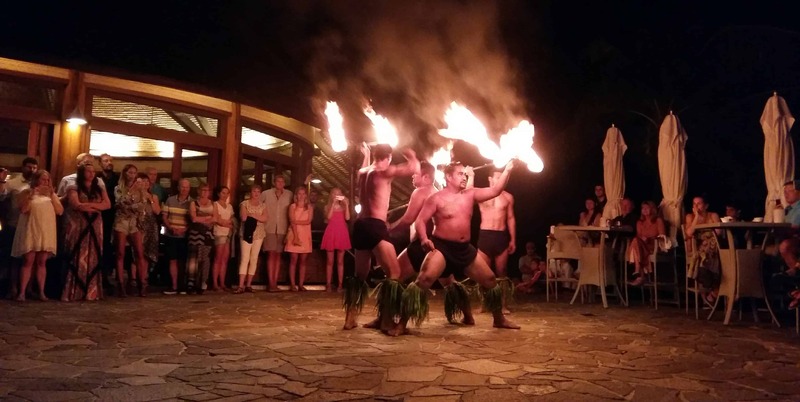 While most people come to the Pacific for its beaches and underwater life, it would be a shame to travel that far and not learn anything about Polynesian culture. The Hilton hotel has a traditional dance performance every Saturday and Wednesday at 8pm (as of September 2017). It is supposed to be for guests who are eating at the very expensive buffet, but if you buy a drink at the bar, you will also get to see it. The dancers showed us many different styles and dances, including a hakka, a traditional war dance that is supposed to intimidate enemies, and a firedance. The tropical garden is a great place to see a vanilla plantation. It is also perfect if you want to try jam made from locally grown fruit. The jars are expensive to buy, but make for a great souvenir if you’re flying home straight after this. If you walk past the greenhouse with the vanilla orchids, you can find a path leading through the jungle. Follow it and not long after, you will end up at a nice little waterfall. Moorea can easily be reached by ferry from Papeete. There is no need to buy a ticket in advance, just show up and get one at the counter. Getting around the island is expensive and the local busses depart on an irregular schedule. Inquire about renting a bike or a scooter. I stayed at Painapaopao Backpackers. The hostel is completely new, very clean and the host, Marie, is extremely nice and helpful. She was the one to arrange the whale watching for me. If this place is booked out, Motu Iti is another option for budget travellers but the reviews are not nearly as good. As for activities, you can easily arrange them once you get to the island. Ask for your accommodation to help you out, most can recommend a tour operator and will be happy to call them for you.